PingInfo is a FREE, easy to use utility that allows you to Monitor Servers and PC’s using Ping and allows you to ping multiple hosts and IP Addresses to check their status. This is a small, free utility that does what it says it will do, no more, no less. Monitor the status of all of your hosts in one single table. 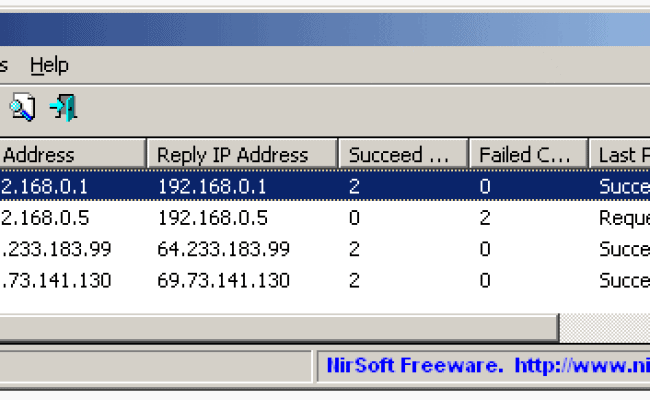 The utility displays the number of failed pings as well as the average ping time. It is all seen in one simple table so you don’t have to go to multiple screens to gather your results. Automatically ping all hosts every number of seconds that you specify. This utility requires no installations. To use the tool, you simply just run the executable file, enter the hostnames or IP addresses and go. Supported in more than 20 languages. **PingInfo is not supported on older version of Windows.